A former north Iowa postal worker has admitted to stealing prescription medication from the mail. 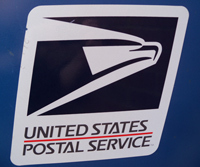 Fifty-five-year-old Danny Miller of Ventura admitted that while serving as the postmaster for Forest City between May of 2013 and July of 2014 he opened mail from the Department of Veteran’s Affairs addressed to a Forest City veteran. Miller admitted stealing the pain medication oxycodone from the packages. Miller is free on bond awaiting his sentencing. He will face a maximum of five years in prison and $250,000 fine.